Our range of products include safety helmets for worker industry. One can avail from us a wide range of Safety Helmets for worker Industry that are in-line with industrial requirements. 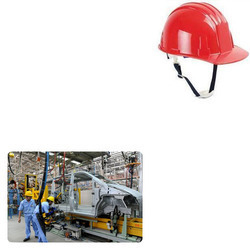 Our industrial safety helmets are mostly used in various industrial activities to protect heads. These are available in different shapes at market leading prices. Looking for “Safety Helmets for Automobile Industry”?